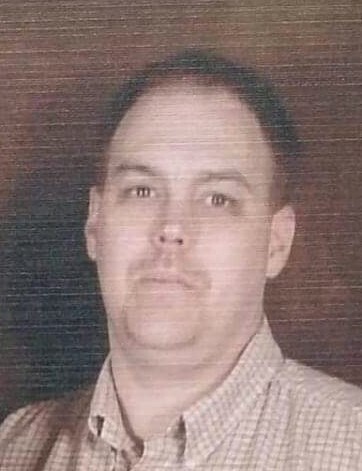 Russell Critzer, age 38, of Danville, VA, died unexpectedly on April 2, 2019. Mr. Critzer was born on May 8, 1980, in Eden, NC, a son of the late, Annette Moore. He was employed as a mechanic at East Coast Transmissions and was of the Baptist faith. Mr. Critzer is survived by his loving wife, Barbara Tipton Critzer of the home; children, Erin, William, Pauline, Russell, David, and Nolan; grandmother, Virginia Jackson; grandfather, David Moore; uncles, John Moore, and Steve Moore; father-in-law, Samuel Tipton (Mary); brothers-in-law, Samuel Tipton, Michael Tipton (Anne), Bobby Tipton, and Larry Tipton (Bridget); sister-in-law, Nancy Tipton; and by many nieces and nephews. In addition to his mother, he was predeceased by his brother, David Critzer. Graveside services will be conducted Friday, April 19, 2019 at 1:00 PM at Schoolfield Cemetery with Rev. Mike Kent officiating. Visitation will be held on Thursday evening from 6:00 until 8:00 PM at Swicegood Funeral Home and at other times the family will be at his grandmother’s residence, 501 Poole Rd., Pelham, NC. Swicegood Funeral Service is respectfully serving the Critzer family. There's still time to send flowers to the Graveside Service at the Schoolfield Cemetery at 2:00 PM on April 23, 2019.